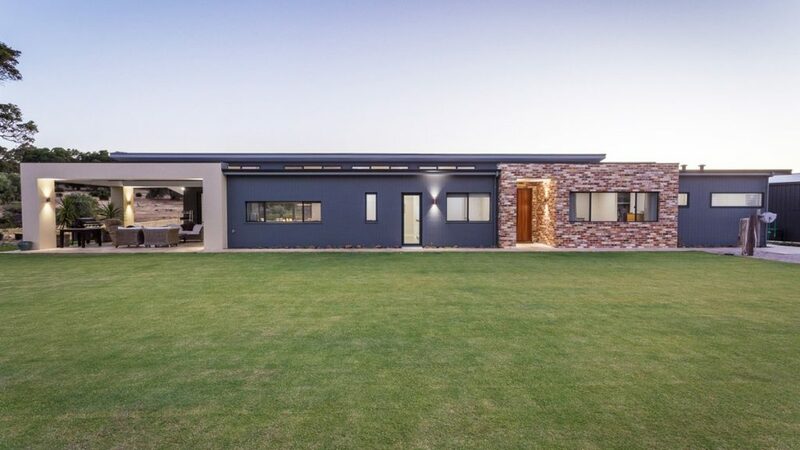 The owners wanted a modern family home with a floor plan that made the most of the rural view from all areas of the home. 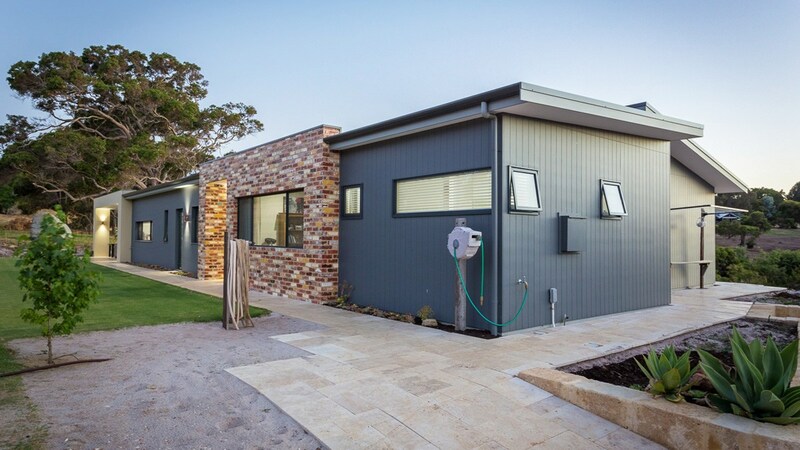 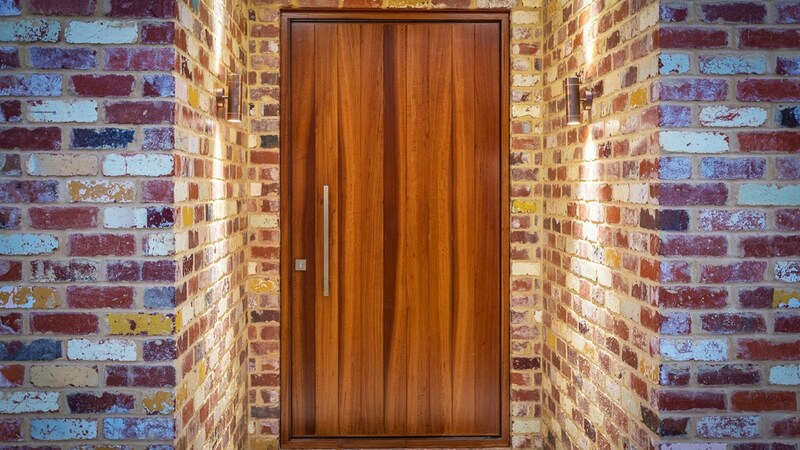 The external walls were clad with a combination of James Hardie Scyon Axon, recycled brick and render. 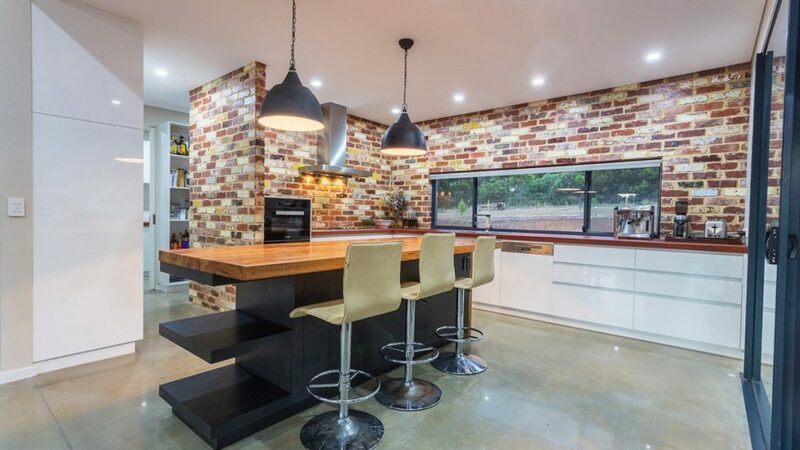 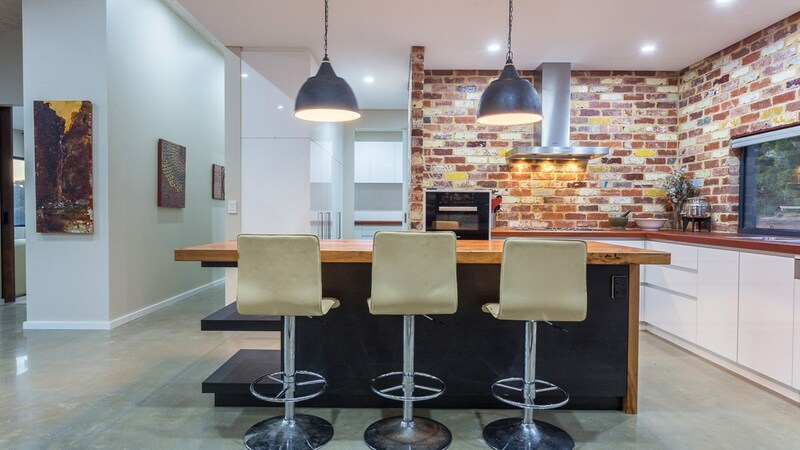 The recycled brickwork was left exposed on the internal walls of the scullery and kitchen resulting in a industrial style look, which the clients were aiming for. 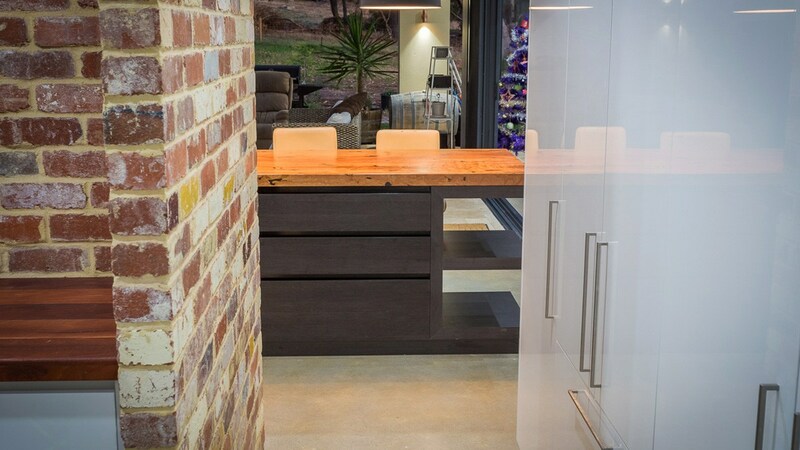 The marri benchtops add an element of warmth and created a nice contrast against the polished concrete floors and brickwork. 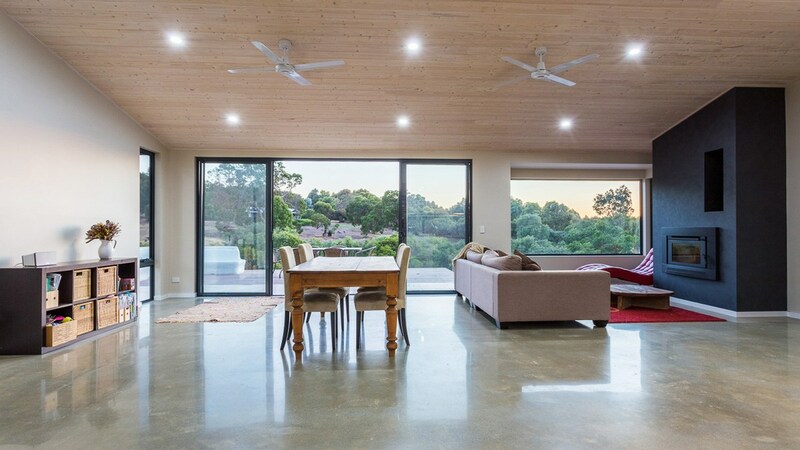 To create interest the ceiling in the living area was clad with pine lining boards, painted in a white wash finish. 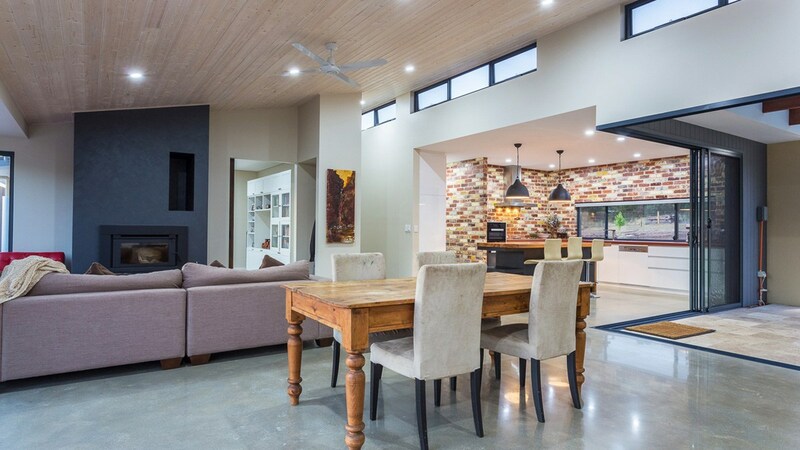 A bank of electronically controlled highlight windows capture the northern sun filling the living room with plenty of natural lighting.